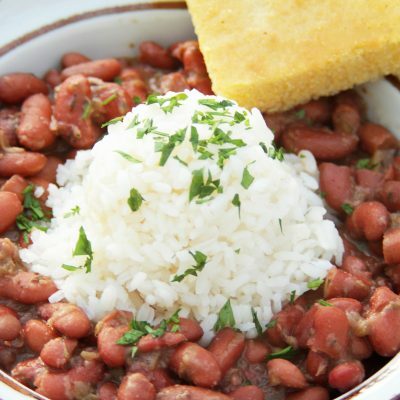 Liquid smoke is a spice-aisle staple among vegetarian bean lovers, and they swear by its ability to add great smoky flavor to vegetarian red beans & rice. 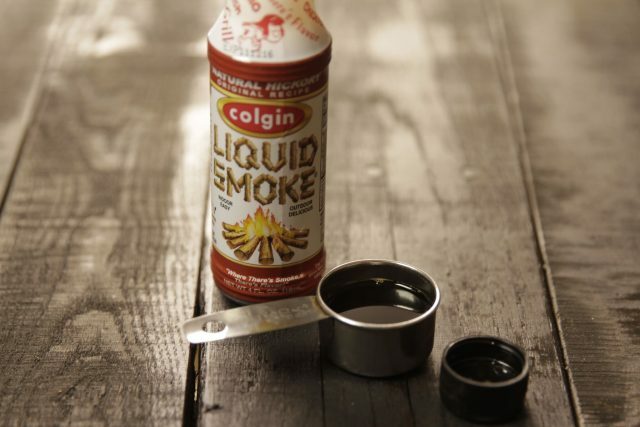 While smoked meat purists might not approve, liquid smoke fans claim it’s a meatless shortcut to savory, woodsy flavor. It provides the flavor of smoke without using smoked meats or cooking food over an open flame. Of course, you can use it to add extra smoky flavor — even if your dish also includes smoked meat. So what exactly is liquid smoke? It’s literally wood smoke that has been condensed into a liquid form. Invented by Ernest H. Wright in 1895, it’s the result of running smoke from burning hickory wood through a condenser, and collecting the droplets. At the time, it was an inexpensive alternative to the common practice of smoking meat, and it was used more as a preservative than a flavoring agent, due to its natural antimicrobial properties. With the widespread appeal of summer campfires and backyard barbecues that came along in the 1950s and 60s, as well as the acceptance of flavoring condiments such as ketchup and barbecue sauce, liquid smoke gained popularity. 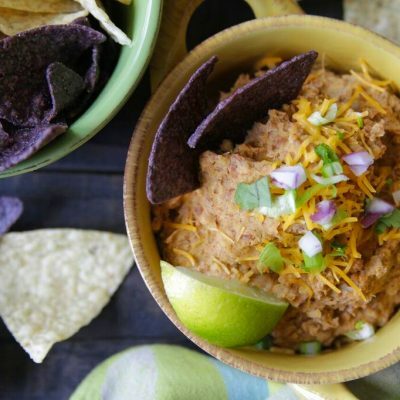 Now, it’s marketed as a great way to quickly add smoky flavor to your favorite foods. And as you might expect, it’s popular as an ingredient in the production of barbecue-style meats, smoky bacon and smoked cheeses. Most brands of liquid smoke are made the same, all-natural way that Wright did it way back when. Nowadays, you’ll sometimes find additional ingredients such as molasses, salt or vinegar. The most important thing to know about using liquid smoke is that a little goes a long way — whether a dish is vegetarian or not. Dash it sparingly into chili, stews, soups and slow cooker dishes. 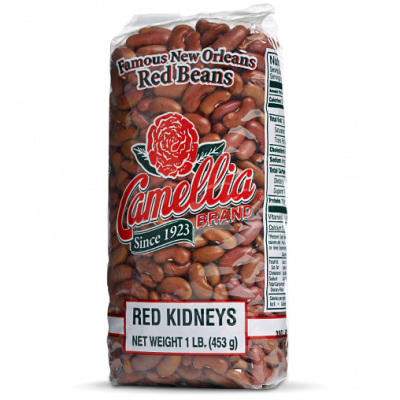 Try adding a few drops to your red beans, and taste as you go. The flavor is intense, and you don’t want to overpower your dish. When tightly sealed and stored in a cool, dark place, it should maintain its flavor and aroma. So the next time you want to go for that special savory flavor, reach for the liquid smoke.